The course was designed with the assistance of the FBI, and it reflects input from the Bureau’s top hostage, barricade, and kidnapping-for-ransom experts. And it features some of the world’s premier crisis negotiators. This year, Police Scotland Inspector Alastair Garrow delivered an international perspective on kidnapping-for-ransom. NYPD Counter-Terrorism Bureau Detective Carrie Reilly conducted a riveting overview of active shooter incidents and survival tactics. In the culminating simulation, each participant assumed the role of crisis negotiator to put into practice newly acquired skills of active listening, emotion labeling, rapport building, and moderating threatening behavior. Given the disturbing proliferation of lone-wolf assailants and state-sponsored terrorism, the course was more relevant to daily life than I would have liked. Crisis Negotiation definitely met and exceeded my expectations. I did not know that much about the topic when I signed up for it, but it has been my best decision in law school yet. I learned valuable negotiation skills and put them to use. I was also able to interact directly with experts in the field and engage in a life-like simulation in which I had the chance to act as a crisis negotiator and communicate with someone in crisis. I anticipate using the techniques and skills I learned in the course of my legal career, although hopefully in a less intense setting. I urge others to take this course next year during the January Wintersession, if possible. It changed my perspective on things that I do daily and I especially valued the emphasis on situational awareness. 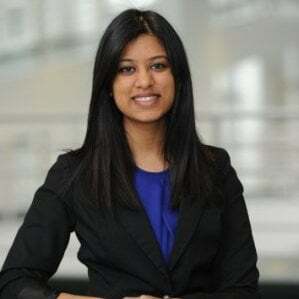 For example, I learned to always be conscious of my surroundings and aware of possible exits, even if I am solely getting on a train or subway. 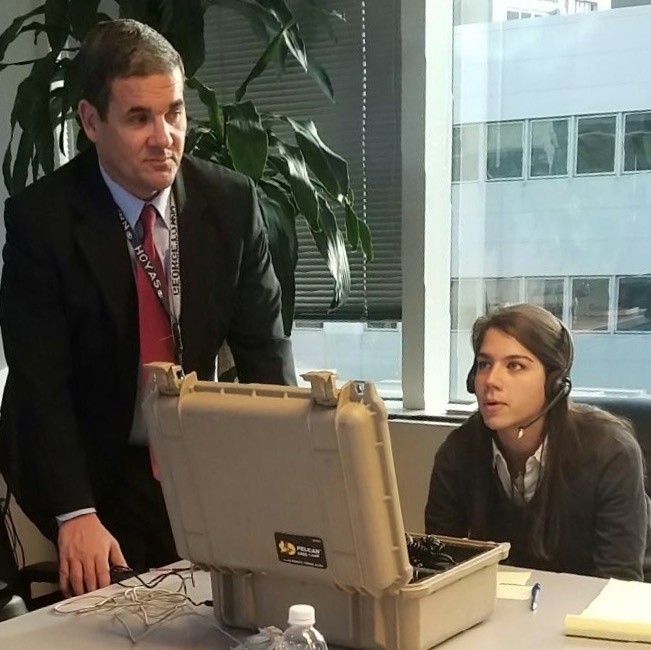 Pictured above: FBI Newark Division Crisis Negotiation Coordinator W. Scott Owens coaches Winter ’17 Crisis Negotiation Seminar participant Victoria M. Vitarelli (’17) on the proper use of a cellular response console during a simulated hostage standoff.